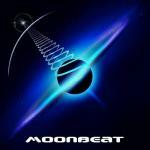 Sign up for Broadjam today to follow Moonbeat Productions, and be notified when they upload new stuff or update their news! Lorenzo Gavinelli,born in Free Territory of Trieste ,sound engeneer,Computer Programmer,Composer,Drummer and Producer. David Sion, born in Australia(Adelaide),Composer,Lyricist,Guitarist,Singer and Producer together form Moonbeat Productions. Rhapsody, Fuel From Hell, Shannon, Modo, De Oya,Gaia,ecc.